I was going through my refrigerator looking for food I should eat as soon as possible and found a mozzarella which should be eaten by the day after tomorrow. 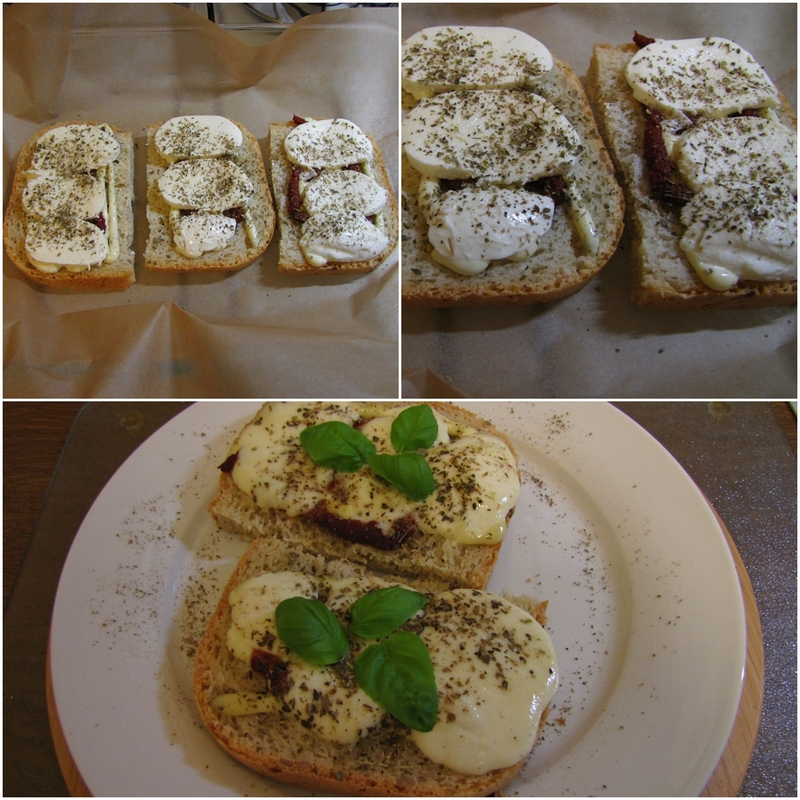 So I had the idea to make some oven toasts to use it because I was not planing to cook anything with mozzarella in the next few days. It was one of those 5-minutes-dishes because it really took me just a few minutes to make the toasts and then I put them for about 10 minutes to the oven. Here's the result.